My science fiction novel “La ruche“ (The hive), published by Les Six Brumes, is featured among the 5 finalists announced for the 2019 Horizons Imaginaires Award. A selection committee composed of booksellers, publisher and a student has chosen the five books of science fiction/fantasy/horror. The full press release can be read on the website of the magazine Les Libraires. The announcement was made in a nice bookshop (La librairie de Verdun) which offers a wide selection of books, and even some culinary items of high environmental quality. You can also sip a small coffee at the back. During the school year, the five novels will be read by hordes of CEGEP students. Mathieu Lauzon-Dicso, who teaches literature at the Montréal Marianopolis College, explained how this prize was born in 2016, thanks to the passion of five students who wanted to further explore the field of Francophone imaginary litterature. The winning work will be announced at the 40th Boreal Congress to be held in Sherbrooke. That gives the finalists nine beautiful months to brag! The list of finalists and their publisher, plus the link to buy the books if you read French. Les Libraires are a network of independant bookstores. LOST: a formidable, witty, science fiction and fantasy writer. IF FOUND: please send her back to Portland, Oregon. REWARD: millions of readers expecting her next stories! A quick 2007 ink sketch I made in her presence, and that she approved and signed! In person, I had the chance to met Ursula at the 30th Wiscon convention. We had approached her as a monument, a conception that her good humor shattered. I remember, after we had complained about the difficulty of getting published, that she told us “You know, it has always been difficult“. Reading The Dispossessed, I felt like coming home. A sense of peace, rightness arose from the pages as I discovered how people lacking comfort and material possessions could live and achieve a reasonable happiness (with the small imperfections of life, because Ursula was a no non-sense writer). Changing Planes is a beautiful collections of short-stories, a perfect introduction to paradoxal societies, like Those who walked away from Omela who turns on its head the maxim (the needs of the many prevail on the needs of an individual); here the happiness of a whole city hinges upon a price so horrible that some chose to walk away. She transformed the landscape in SF by writing from a woman’s point of view; her heroes and heroines achieve their goals by more creative means than outright violence. And if they don’t achieve their goals, they discover that even an imperfect way of life can give them happiness as in The Dispossessed, The Lathe of Heaven, Four Ways to Forgiveness. I recommend the latter to show how a positive social evolution can come unexpectedly, getting there by side roads. This citation, as she had to battle for her words in a mostly male literary environment. Her blog gave visitors funny anecdotes about her cat Pard, reflections, poems and more. Some recent books available at the Bookview Café. I leave the rest of this post to her voice. Here: a link to her extraordinary discourse at the national Book Award, where she denounces the expulsion of science fiction from the island of Literature. 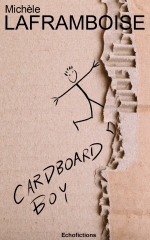 The bookview café blog article, that she contributed to found. A group of authors that publish their ebooks independantly. Margaret Atwood, an author who sometimes disagreed with UKL about science fiction, wrote this eulogy in the Guardian. What happens to your books after you die? More seriously, your copyright will live on for 50 years after your death in Canada, 70 years after death in the USA. If you are a writer, learn how to protect your books after you pass away. Even if you don’t think they have any value! Did you know that the singer Prince, did not leave a will when he died? An ordeal for the bereaved family. Elvis Presley left a debt-ridden property to his daughter Lisa Mary (who was only 9 at the time). Priscilla Presley did step in to save Lisa Mary from ruin. The latter exemple comes from a small and practical book by M.L. Buchmann, who writes military romantic suspenses (yes, it is a genre). I had the pleasure of meeting him in Oregon. There are stunning occurences of what can happen when personnalities die without a will (intestate) or when the heirs mismanaged the deceased writer’s IP, or leave the management into other (greedy) hands. Here is the podcast of his interview at Kobo Writing Life with Mark Leslie. Matt is a hyper-organized writer: even if some rules only apply to the USA, most advices are valid for Canadians. To taste his brand of fiction, visit his author page. The Copyright Handbook – What Every Writer Needs to Know: Nolo Press (448 p.). The latest edition just came out (fal 2017) Quite expensive even for the e-bookbut they do have some sales like the Halloween sale on their website. Price in USD. I have the e-verson of the precedent edition (I knew there was a reason for the lower pricing…) That kind of book, you don’t want to read it in one sitting. Helen Sedwick, Self-Publisher’s Legal Handbook, Ten Gallon Press (<200 p.). Helen is a business lawyer with 30+ years of practicing. “Stay out of court and at your desk” is her motto. Her book’s last chapter list typical clauses in contracts, with the simpler plain English version besides. The new 2017 edition is out. Kristine Kathryn Rusch- Business Musings: Prince, Estates, and The Future and Business Musings: Agents and Estates. Those are two articles from her blog, but she has reunited some chronicles in books. Kris is a Science fiction and manygenres author about my age but with lots more published titles and experience. She has gotten real savvy on the business plan! I do recommand to follow her very rich blog. On the first of this month, I got a email from WMG Publishing. My first published SF story in Fiction River 21, (Tavern Tales, not so far back) Closing the Big Bang, has been re-published (hurray for the reprints!) 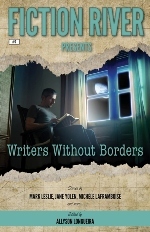 in Fiction River presents: Writers without Borders. Then I looked at the cover… Houla! What a wonderful surprise to have such wonderful writers as Jane Yolen and Mark Leslie as cover neighbors! 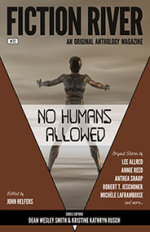 Each contributor from outside the USA got their first published story in this special edition. To find more about the book and all the contributors, go here. Kudos to the fine crew of WMG Publishing, especially Allyson, Dean and Kris! Go grab the ebook on this universal link to all platforms! 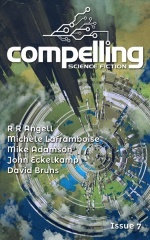 My hard-SF short-story has just been published in Issue 7 of Compelling Science Fiction, edited by Joe Stech. I am grateful for the occasion as this is my third publication in the English SF market. Compelling SF has a very accommodating subscription system, as you can give what you want to sustain the mag. 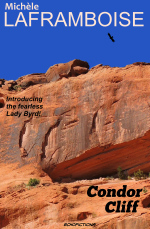 All five stories are available, and you can purchase the back issus on the Kindle Store. Cover of the Fiction River 21, this issue edited by Kerrie L. Hugues, with my funny SF story Closing the Big Bang. The Fiction River collection is directed by Dean Wesley Smith and Kristine Kathryn Rusch. Still basking in the thrill of reading my name on the cover and the warm and glowing introduction that Kristine wrote for the story. Get your copy on Amazon.com, Amazon Canada or Kobo! This October is such a busy month that I am lagging behing my posts. So here is a placeholder post while I organize the mailing of my SF novels overseas, make frenetic preparations for my depart for the Utopiales festival, and put up new e-books, tinker with websites, recuperate from my Oakville half marathon­ race… and run to a scout camp this week-end! So the next Signing table comics will have to wait a little!